Do not fall for this and one mistake you should not do when approaching your mechanic for repair is desperation. Once he notices that you are desperate to get the problem resolved quickly, he will play the scare trick card on you. Beware of these secrets below and feel more confident next time! You do not want the feeling of being ripped off by your mechanic or extremely submissiveness to his instruction just because you need your car urgently to run a business purpose or for private reason. More importantly, if you are a car owner, you will need to engage the service of a professional hand to help you diagnose and proffer solution to any fault with your car. So it is not overly wrong to trust anything these people say. That is why Naijauto will be revealing to you how to deal with this secrets and tricks commonly used Nigerian auto-mechanics. Do not fall for this and one mistake you should not do when approaching your mechanic for repair is desperation. Once he notices that you are desperate to get the problem resolved quickly, he will play the scare trick card on you. Dealing with Nigerian auto mechanics requires wisdom. You do not want to fall victim to that. It is not a crime to seek alternative mechanic for options in opinion and price. This is a very common trait among mechanics. Since it is their only means of livelihood, rejecting a car brand might seem like foolish idea. Make sure your mechanic knows your car very well and if you are confused, take your time and ask around. If he is not licensed to repair your kind of guy, he may rip you off and incur more problems to your car. To do that, do your research carefully online about your car brand before you approach him. Ask him many questions as possible and his responses will give you an idea whether he knows about it or not. If you regularly patronize a very equipped modern auto mechanic workshop, you will understand what we meant by not signing any form until you are certain of what you are getting into. This authorization form is legal binding and once you sign, you are under every obligation to oblige by what the form says. If you are not ready to pay an outrageous price for a menial problem, make sure you read it well before signing. If you are a Nigerian, it will be not strange to you when your mechanic tells you what is wrong with your car just by looking at it. Do not fall for that. The workshop you should patronize must have scanning tool and engine analyzer to do proper and thorough check on your engine. Sometimes small problems to our understanding might actually be serious problems when checked by a machine and vice versa. When you discover the mechanic does not have these tools, take your car to the next workshop. To get the most out of you especially when you are using a very expensive car, your mechanic may ask you to carry out some maintenance services on your car that do not in any way needed. Do not fall for this. It is an effective way to milk you to your last penny. They might use urgency trick card to make you fall prey to this. That is why you should always seek second opinion when you take your car for a repair. 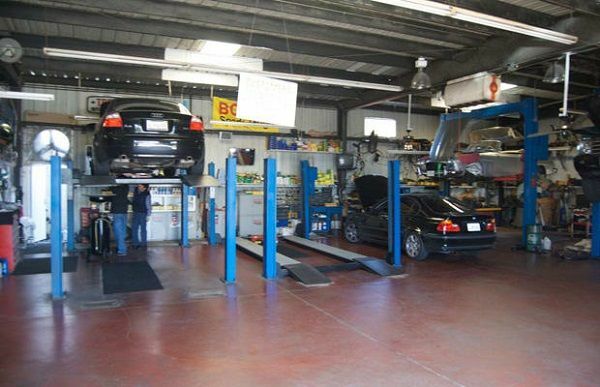 Finally, having deep knowledge of your car will definitely give you an edge whenever you approach any auto mechanic workshop for maintenance or repair. Remain calm and handle the situation like a real pro. >>> For more useful posts like this, please visit Car Maintenance tips on Naijauto daily!